Some of the most beloved stories start with a ragtag band, a scrappy group of buddies, or a rogue’s gallery setting off on adventures. But that doesn’t mean that writing an ensemble cast is easy. When your book has more than three “main” roles in the cast, it’s tough to know how to distinguish your characters on the page. You don’t want a reader to be lost wondering how to tell your characters apart, and you definitely want to make each character in your novel interesting and unique. So if you’re writing a book with an ensemble cast, how do you make sure it’s working—and not overloading the reader? Here are some best practices for plotting out a story with lots of characters. Knowing how to engage your reader is key for any kind of book, but when writing an ensemble cast, it’s especially clutch. Starting your novel with a busy scene full of seven characters talking quickly is an easy way to scare your reader off. Instead, break your characters into “clumps,” and introduce them in groups of no more than three to keep confusion to a minimum. For added depth, introduce your characters in individual, unique settings—it’s easier to remember three girls who were chatting at a frozen yogurt shop and two who were at track practice than five girls who were all talking in the hallway at school. 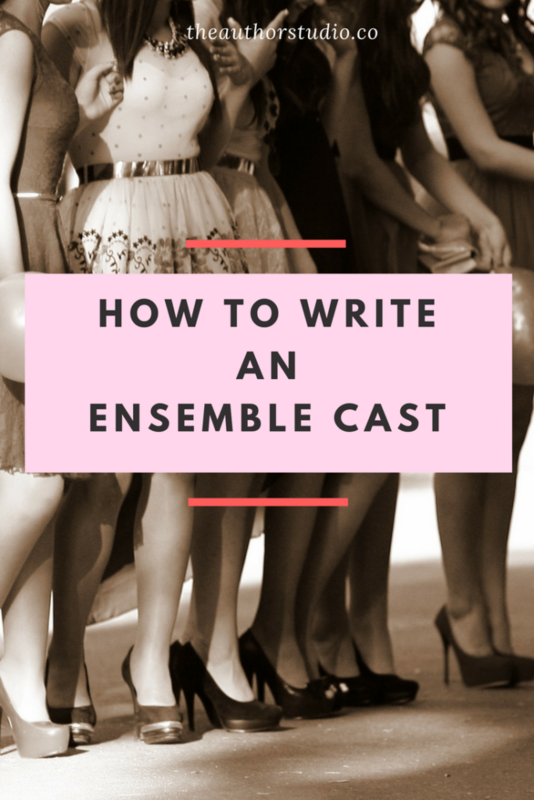 Many guides to writing an ensemble cast will warn you against creating a “one of each type” cast, where each character has a different archetype. But writers do this for a reason: it helps. Creating unique characters often, counterintuitively, requires playing to familiar tropes that give the reader a foothold in your world, and using character archetypes is a solid way to do so. Consider The Breakfast Club or Ocean’s Eleven; these stories need their characters to have “types” so that the story feels well-rounded. But even characters that are more demographically similar can each take up a “role”: for example, in Mean Girls, you have the three Plastics: Regina the Queen Bee, Gretchen the second-hand man, and Karen the airhead, but also Cady, the straight-man main character, and Janis, the rebel. They’re all teenage girls, but even just picturing them, you can tell them apart—that’s the power of archetypes! The archetypes don’t stop the film from being hilarious and non-generic; they merely give the viewer a point of access. Just like when writing a book in dual point of view, you want to make sure that each character sounds different from all the other characters. Ideally, the reader will know who’s speaking just by the words on the page, without any need for dialogue tags. This can work especially well in SF/F novels, when you’re creating your own fantasy language, because you have that much more flexibility to experiment and play around with registers of formality, slang, and so on. No two characters should move the same—especially when in an ensemble cast. Use strong, individualized verbs to make their movements come alive, not just when they’re walking from place to place, but when they’re sitting (or slumping, sleeping in, slipping out of) their chair. Likewise, give them physical tics: maybe one character plays with her hair, or maybe one has a nervous habit of polishing his glasses. Don’t overdo it—too much repetition will drive your readers crazy—but use it as a way to ground the reader and bring back their focus to each character. Don’t be afraid to signpost. The classic writing advice “show, don’t tell” can get lead very quickly to very muddy writing when writing a novel with an ensemble cast. There may be times where you simply have to specify explicitly who each person is. Don’t shy away from stating things like family relationships, age, jobs, or other “un-showable” character attributes—a few of these plainly-stated facts now and again are like signposts for the reader. They help the reader know which way to go and keep her from getting lost in the weeds. Make their names stand out. If you have a John, James, and Jake, your reader is not going to know how to tell your characters apart. Similarly, a Lexie, Katie, Angie, and Molly can throw off the reader’s mental register because all the names end in the same “ee” sound. Vary length of syllables, first letter, and vowel sounds to keep things identifiable, and make sure your beta readers aren’t getting tripped up. If you’re writing from multiple characters’ first-person POV, you’re not really writing an ensemble cast; you’re writing a novel in alternating POV. Which is okay! That’s a different practice but still an acceptable stylistic choice. Generally speaking, in novels, an ensemble cast is written in third person limited (i.e., restricted to one character’s emotions and insights), or third person omniscient (i.e., able to hop between character’s heads within a single scene). If you’re having trouble figuring out which POV to use for an ensemble cast, start simply and work up: third person limited will give you a static point to shape your story around as you get to know the cast, rather than forcing you to juggle the challenges of omniscience while also building up three-plus unique characters. Want a free eBook guide to querying? 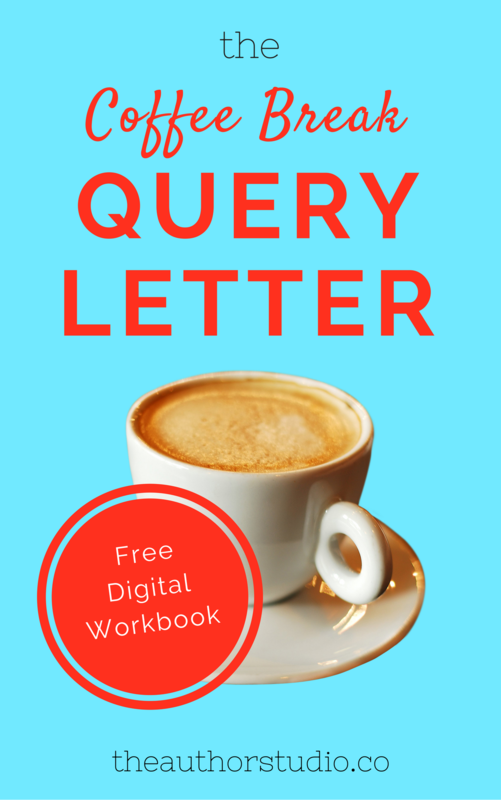 The Coffee Break Query Letter is our free workbook for brainstorming, drafting, and polishing a killer query.